I knew a new Versa was coming, but this is still quite a surprise to me. As it, almost shockingly, looks 1000 times better than the horrible looking model it replaces. 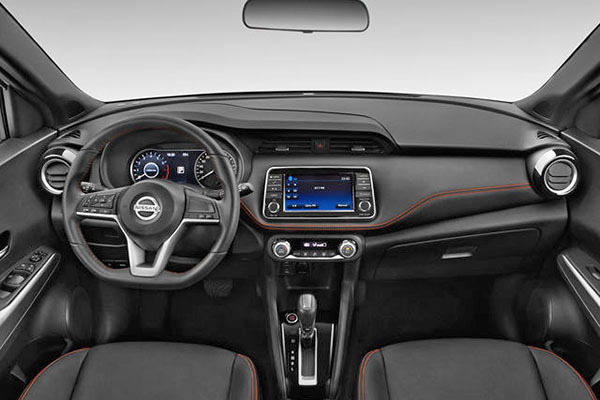 Sure, it, again, looks like a small Maxima/Altima. So basically not a new design. Just a new size for that same design. But I think it really works here. Especially considering the previous one. 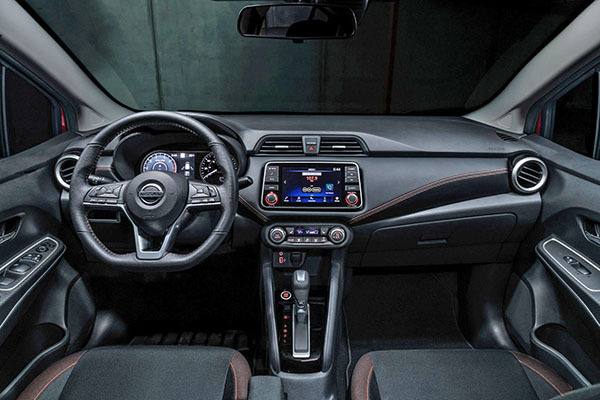 So basically, the Kicks is replacing the Versa Note. And this new sedan replaces... the old sedan. 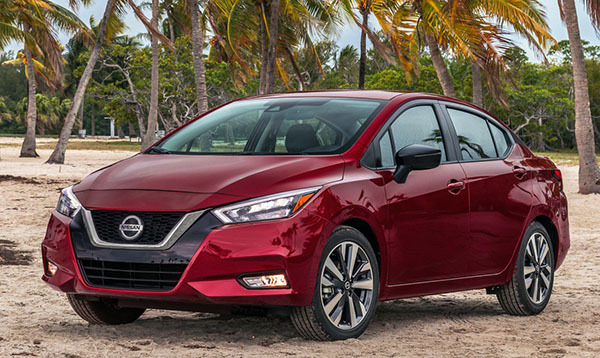 Besides being a bit larger, the new Versa is powered by an "improved" 1.6 Liter engine with 122HP instead of 109 for the previous one. The base model still comes with a 5-speed manual. 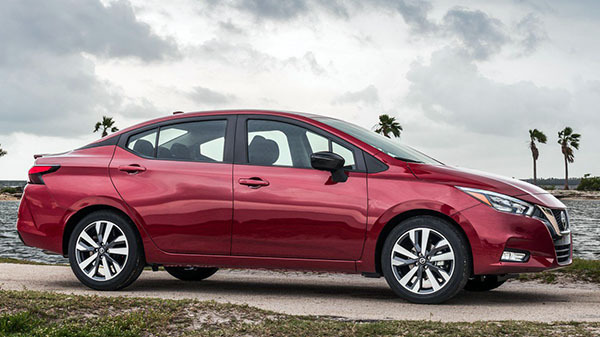 All models of the Versa come standard with push-button start, keyless entry, and power windows. It looks much better than the current version (though that’s not much of an accomplishment considering how homely the current version looks), but it’s still another ugly Nissan with a fake floating roof treatment. 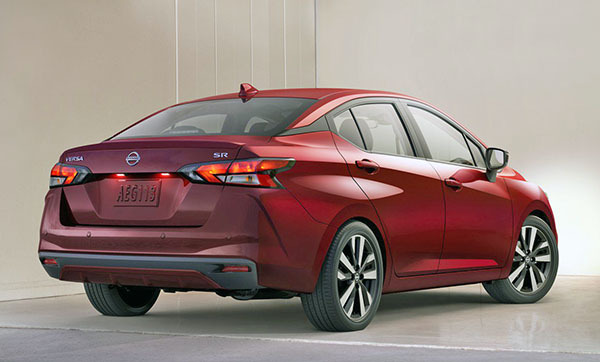 This is the first small Nissan sedan in decades that is actually not hideous. Finally. Well certainly a huge improvement exterior and interior over the previous car which was the UGLIEST VEHICLE OF THE CENTURY. 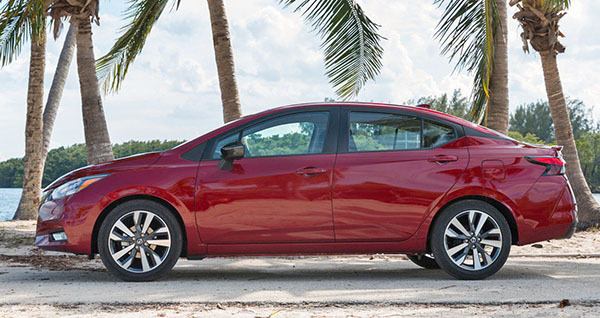 Nissan's North American lineup has always stuggled in both quality and design when it came to its entry-level models. Hopefully they change and improve their lineup especially with Goshen gone. They need to learn from Mazda, Honda and even Kia to attract more of a base. Getting really sick of these copy and paste designs. Nissan, Mitsubishi, and Honda are the worst offenders. Last week I rented a Versa in El Centro and drove it all around SoCal for three days...absolutely THE MOST substandard car in every aspect. A skateboard would be an improvement!